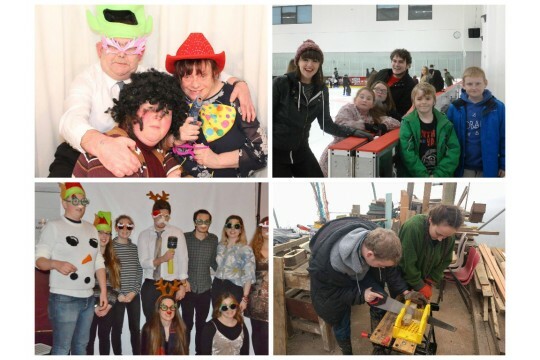 We are SVC, an independent charity established by local University students in 1971. Our aim is to enhance the lives of disadvantaged people living in Cardiff and the local area. We achieve this by running 30+ projects where our volunteers support older people, adults and children with disabilities, homeless people, adults with mental health conditions and young carers. Additionally we work with local partners such as South Wales Police and Cardiff Council on initiatives aiming to make Cardiff a safer and greener City. We benefit the community in many ways, these range from delivering projects which integrate local community residents and students, to delivering crime prevention awareness. Our projects aim to make a real difference to the lives of our beneficiaries, whilst also providing skill development to our incredible volunteers. Anyone over the age of 18 can volunteer with us, whether you are a student, parent, Doctor or retired - we believe everyone can make a difference. Our moto at SVC is "Give a little, Gain a lot". In the 45 years we have been operating we have supported 1000's of dedicated volunteers, and enhanced the lives of 1000's of beneficiaries. Last year our volunteers dedicated over 20,000 hours to our projects, we are exceptionally proud of this achievement, and the benefits our projects make.